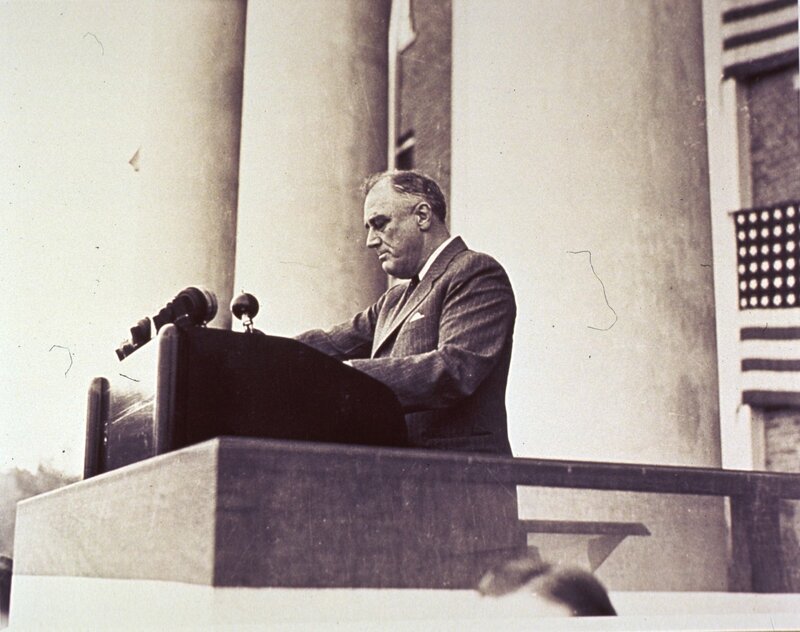 On October 31, 1940, just days before President Franklin Delano Roosevelt would be elected to an unprecedented third term as President of the United States, he traveled to Bethesda to dedicate the National Cancer Institute and the new campus of what was then the National Institute of Health (NIH), before it would eventually become known in plural form—National Institutes of Health—as multiple units were established over subsequent years. 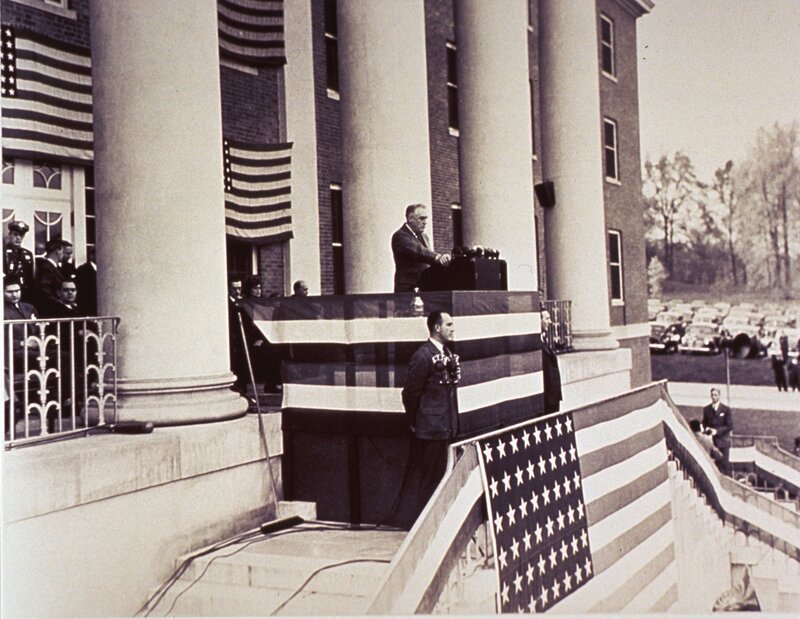 That late October afternoon, Roosevelt stood on the steps of the new main NIH building, ready to address a crowd of 3,000 people. Still relevant today, in a variety of contexts, are the subjects he discussed: the need for preparedness in light of war and for research into deadly diseases, recent improvements in public health and health care, and hope that the research conducted at NIH would lead to new cures for and even the prevention of disease. Today, the National Library of Medicine is making the film of Roosevelt’s speech publicly available for the first time, nearly 74 years after the President made his speech. Sound recordings, transcripts, and photographs of this event have been available publicly for many years. Our research suggests, however, that this rare film footage has not been seen publicly since its recording and may no longer exist anywhere else. The live footage of the speech was given to NLM many years ago by the National Archives and Records Administration. The recording does not appear to have been professionally produced, although news organizations such as CBS were present on that day. The camera is unsteady in places, a hand sweeps across the lens, and the filming starts and stops, though it isn’t known whether this is a result of the original filming or of later editing. It is our honor and privilege to make this film footage available now as excitement is building for the upcoming PBS broadcast of the new Ken Burns documentary, The Roosevelts: An Intimate History, a landmark project that was funded in part by the National Endowment for the Humanities, with whom NLM is working on initiatives of common interest. For their assistance in determining what research suggests to be the uniqueness of this footage, we thank our colleagues in the NLM’s Audiovisual Program and Development Branch of the Lister Hill National Center for Biomedical Communications, the NIH Office of History, and the National Archives and Records Administration. We also thank our colleagues Dr. David Cantor for the extensive historical research he completed on the subject of FDR and the NIH before we initiated our effort to make this film public available, and especially Anatoliy Milihkiker, a contract archives technician in the History of Medicine Division, who recognized the unique content of this film as he undertook a recent survey of the our extensive historical audio-visual collections. 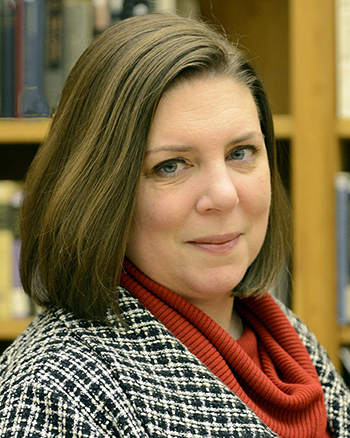 Rebecca C. Warlow is Head of Images and Archives in the History of Medicine Division at the National Library of Medicine. Thank you for an interesting article. How the world has changed in 74 years. What an inspiring man FDR was, and what a generous act on the part of Luke and Helen Wilson. You’re welcome. We couldn’t agree more. President Roosevelt, in dedicating the new National Institute(s) Of Health Building, declared, “for research into deadly diseases, recent improvements in public health and health care, and hope that the research conducted at NIH would lead to new cures for and even the prevention of disease.” This declaration is still relevant today. Since I am an advocate for M.E. (Myalgic Encephalomyelitis) and Asperger’s (ASD-Autistic Spectrum Disorder), I am directing this reblog to Dr. Francis Collins, Director of the National Institutes of Health @NIHDirector. Circulating Now has posted a fantastic (albeit poorly produced) video of President Franklin Delano Roosevelt dedicating the National Cancer Institute and National Institute of Health (NIH). The U.S. National Library of Medicine is now making this video available for the first time. Rebecca C. Warlow has a posted an article that discusses the video and places it in the proper historical context. This video was made available in anticipation of Ken Burns’ new PBS documentary, The Roosevelts: An Intimate History. Thank you! Shared this at our library’s FB page at the University of Toledo – Health Science campus. You are welcome! Thanks for reading, and for sharing this piece of our national medical history.